This is a blank notebook. First photo is for illustrative purposes only to show an example of how notebook can be used. 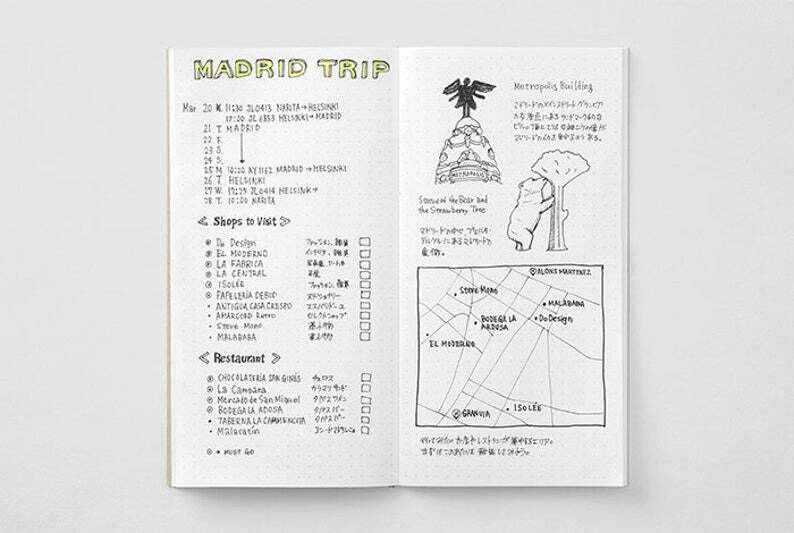 A dot refill for the Travelers Notebook is finally here! Perfect for bullet journalling, this notebook refill is dotted with small dots in 5mm intervals. These dots are excellent for writing graphs and boxes or as a guide in writing and illustrating that isn’t obtrusive or in the way. Try out the myriad of enjoyable ways to make use of the dots, from making comic book panels or a layout like a magazine, to using them to keep track of spacing like traditional Japanese writing paper.